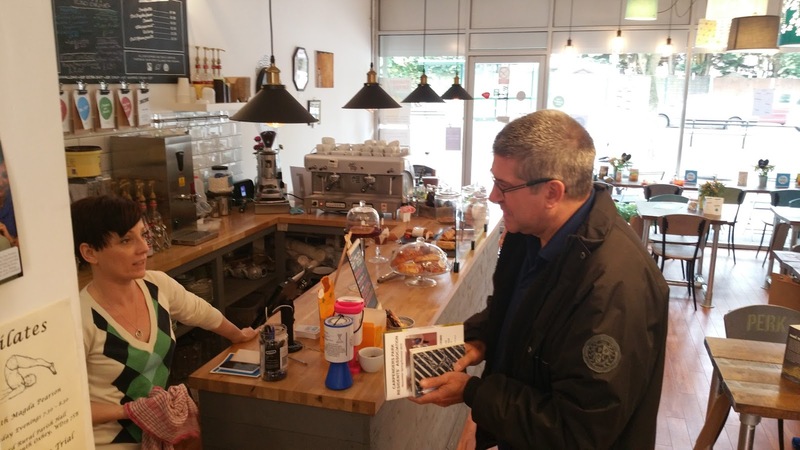 L4G South West Herts District: So what does the Coffee Shop Union actually do...? So what does the Coffee Shop Union actually do...? It's been a little while since we wrote about the Coffee Shop Union. At the time it was something that had only recently come into being and I suppose we didn't really know exactly what it would look like. In the same way perhaps as a new baby bursts into the world full of potential and gasping for the life giving oxygen that will enable it to survive, we began the CSU with ideas of what it might be, and also a few thoughts as to what it may need to exist in a fiercely competitive and capitalist society. More recently however - and as we have grown our friendship and working relationship - the Coffee Shop Union has grown and developed into something much closer to the initial vision. For example. Here at The Kitchen we've enjoyed nights with Yellow Comedy for some time. Seven stand up comedians including a headliner have entertained an audience of up to forty local people. All enjoying a great night out at a fraction of the cost of heading into town where you not only pay more but you also have to fund drinks and travel costs way beyond those in little Croxley Green! Thanks to the Coffee Shop Union you can enjoy similar nights in Bushey and Carpenders Park - benefiting both the coffee shops and the comedians - win win win! On a more prosaic note - when you own a Coffee Shop it can be something of a nightmare to discover that your foodservice supplier has gone out of business. I discovered that from Twitter the day after our very own went under. Here at The Kitchen however we were in the very fortunate position of having the rep from another, local, supplier here in The Kitchen at the very moment we received the news. We segued seamlessly from Turners Fine Foods to Waterdene with scarcely an intake of breath - had it not been for the CSU I suspect a few panicky emails, phone calls and trips to Morrisons may have been the order of the day! In a similar vein - for some time now we'd been looking at where to find the perfect morning pastries. We had come close with Turners - after trying their frozen varieties it seemed that the daily deliveries of freshly baked goods may be the answer. Little did we know that the answer - in the form of Seven Seeded - was quite literally just around the corner. 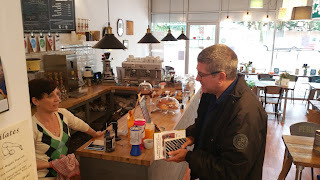 For it was whilst enjoying a Cruffin at Perk that we commented on the quality of the pastries and having identified the supplier decided to pay them a visit. Seven Seeded are situated on Olds Approach - just the other side of the beautiful Croxley Moor from The Kitchen. 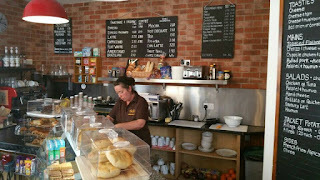 We were immediately struck by their attitude, work ethos, and the absolute deliciousness of their breakfast offerings. As a result of these serendipitous happenings we're how happily offering breakfast pastries from Seven Seeded as part of our regular morning menu. Customers are happy - we are too! And if we can increase sales as we hope to then we expect Seven Seeded to also be delighted. Whiteheath Farm are another example - as a small dairy farm pasteurising their own milk Coffee Shops are their perfect customer. Selling to supermarkets who need a retail market is not of course ideal. End of week sales to the yoghurt makers are similarly disappointing. But delivering to Coffee Shops who share their passion for buying local has to be the best solution - which we are proud to be a part of! These are just a few ways in which the Coffee Shop Union is benefiting Coffee Shop owners, There are many more to come as we look forward to welcoming more members in the days and weeks to come - watch this space!